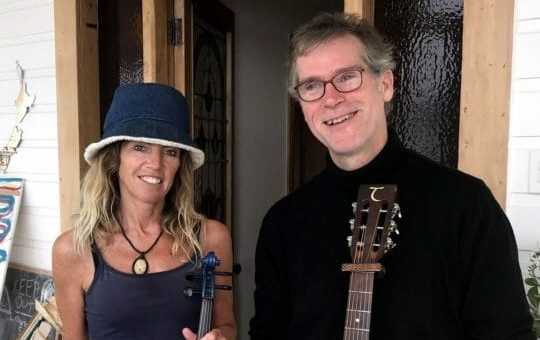 An award winning songwriter, Nigel’s music connects intimately with the ‘folk’ – people, their lives and struggles, their causes and stories, ties with the land, links with the past and hopes for the future. Described by a radio presenter as “one of the finest traditional folk artists in NZ”, Nigel Parry’s unique mix of contemporary, traditional and early music relies heavily on his vocal arrangements. Nigel Parry has performed at small and large events, concerts and music venues, festivals and live on radio, and in France, Canada and the UK. Nigel and Ruth Prentice (ex Balkanistas etc.) perform together regularly. Her lyrical style complements the songs perfectly. "Nigel Parry with his elegant, fluid style is a name to watch out for ... a whole spectrum of emotion with Nigel particularly excelling in his ability to present each song as a story, his mellow vocal tone ideal for performing everything from shanties and ballads to childhood rhymes. "